It’s ten minutes to 8 PM on Saturday night and four hockey journalists (Brad, Tim, Eric, and Shawn) sit at a bar watching NBC, waiting to see the results of the NHL Draft Lottery that will decide the fate of one Connor McDavid. Brad: It’s gotta be Buffalo. I mean, they meticulously planned this entire season out just to land McDavid. It’d be nice if they get their prize. Eric: I’m kinda hoping Toronto wins it. Can you imagine if they don’t? We’d never hear the end of it from Down Goes Brown. Brad: Like, people in Buffalo bought custom-made Connor McDavid #97 jerseys this year. I’d hate to see all that go to waste. Tim: I wouldn’t hate that. Shawn: Ya that’d be hilarious. Eric: Alright guys quiet down. Show’s about to start. Brad: No. No. No. No. No. No. No. No. No. No. No. No. Brad: Of all the teams. Why Edmonton? Again. Tim: Welp, time to get to work guys. As hockey writers we gotta give this a narrative to inform the public of what to think of all this. What are you guys gonna go with? Brad: I wrote a “Will Nail Yakupov Be Edmonton’s Final Piece For Success?” article in 2012. 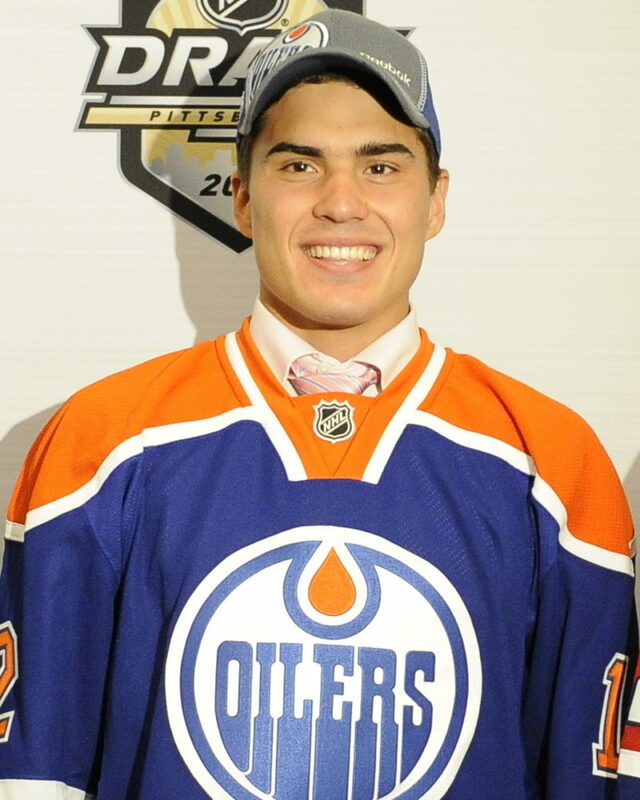 It’s about how the Oilers keep getting young talent and if taking Yakupov with the first overall pick can finally put them over the top. 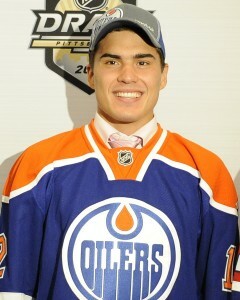 I’m just going to copy and paste that whole article but put in “Connor McDavid” instead of “Nail Yakupov”. Should still work. Tim: I wrote a “Will Ryan Nugent-Hopkins Be Edmonton’s Final Piece For Success?” article in 2011. It’s about how the Oilers keep getting young talent and if taking Nugent-Hopkins with the first overall pick can finally put them over the top. I’m just going to copy and paste that whole article but put in “Connor McDavid” instead of “Ryan Nugent-Hopkins”. Should still work. Eric: I wrote a “Will Taylor Hall Be Edmonton’s Final Piece For Success?” article in 2010. It’s about how the Oilers keep getting young talent and if taking Hall with the first overall pick can finally put them over the top. I’m just going to copy and paste that whole article but put in “Connor McDavid” instead of “Taylor Hall”. Should still work. Brad [talking over Shawn]: Maybe I can spin this in a way to criticize Tyler Dellow. I mean, they hire this big shot analytics guy and now they win the draft lottery. Shows how stupid analytics are! Tim: Now that you mention it, the Oilers winning this draft lottery will make for a great proof in my anti-fighting article. McDavid fought that one time and now his punishment is he has to play in Edmonton. That should teach those neanderthals that fighting has no place in the game! Eric: I’m going to write a nice piece talking about how Connor McDavid is the next Wayne Gretzky. 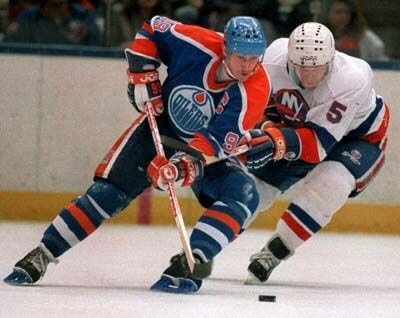 Y’know, cuz Gretzky was really good and played for the Oilers and McDavid is really good and is gonna play for the Oilers. Slam dunk! Brad [continuing to ignore Shawn]: Maybe we’re looking at this all wrong. I think I’ll write an article saying Edmonton should take someone with #grit and someone who works hard. Look at the Calgary Flames! They’re an objectively good hockey team cuz of all that #grit and hard work. Brian Burke is smart. Tim: No you got it all wrong. My piece is going to be about how they should draft Noah Hanifin with the top pick. They still need defence so they should ignore the generational talent. Plus Hanifin is super good too! Eric: I think I’m going to wait a month and after McDavid goes two games without a goal, I’ll write an article about how he’s the biggest Oilers bust since Magnus Paajarvi. I think I really have something there. Brad: A piece about how the Oilers should tank next season to get Austin Matthews in the 2016 draft. Tim: I actually called the Oilers front office for an interview for a piece I thought of. I asked if they would consider trading the #1 pick for an elite goaltender or defenceman. Tim: They asked what those were. Eric: Ya. We’re done here. All of these are articles that are actually going to be written in the next few months. Hockey journalists are the best.